Kelly was a great agent. She was always in touch with us and did all the right research for our first home buying experience. She was calm through the process and was wonderful to work with. Kelly went above and beyond what she needed to do to make us happy. We were very impressed by the time and dedication Kelly put toward finding us our perfect first home! We will definitely refer her to everyone. Kelly was extremely motivated, knowledgeable and helpful. The whole process was a breeze. Thank you! Kelly did such a fantastic job in working with us, that she really became more of a trusted friend. She was always pleasant and seemed to go out of her way to make sure we were happy. There are so many wonderful things we could say about her, but her results speak for themselves. We are extremely happy in our new home and will always be grateful to her! Thanks Kelly, you’re the best! Kelly was very helpful and provided us with all the information we needed right away. Kelly was great to work with! We were very happy. Kelly did an outstanding job for us! She’s high energy and very professional. If we had to do it again, I wouldn’t hesitate to choose her. She is an asset to your company! Kelly Twohig sold us the first day we met her! We really enjoyed working with her. Please accept our gratitude for your assistance in the recent sale of our home. With your help, we were able to strategically set a price for our home which resulted in heavy traffic within the first two weeks. You did a great job of creating a sense of urgency on a particular day with three showings in a single afternoon. This effort resulted in a full price offer, 15 days after listing. All we had to do was sign on the dotted line. No counter offers, no headaches, just an easy sale. Good luck in the future! Your happy and cheerful personality and your ability to work through the details with a smile are sure to bring you success in all you do. Kelly did a tremendous job helping us sell and buy houses. She was quick to respond to questions and requests. Both transactions went smoothly thanks to her diligence and expertise. She was there with professional, thoughtful assistance every step of the way. Kelly was very professional. She was willing to work with my schedule in viewing homes, also helped find what I was looking for. Thanks! We got excellent service from Kelly. She made our experience fun & exciting! I would recommend Kelly Twohig to anyone. She was always available on her cell and kept in touch even when out of town or gave us someone to contact. She even helped us "stage" the house-moving furniture etc. Kelly was an exceptional Realtor. She was there any time I needed her and always went above and beyond. She took care of me as her customer. Thoughtful, nice, caring and professional. Kelly went above and beyond our expectations as a Realtor. As first time home buyers she was incredibly helpful in more ways than finding our dream home. I would definitely recommend her to any friends or family looking to buy in the area. Can't thank her enough. Kelly was very patient, kind and courteous. She is an asset to your company. Kelly was very helpful and patient with us since this was our first time buying. She gave us excellent advice and listened to our needs and wants. She did a good job in a tough market. Buying our Lake Home from Kelly Twohig was easy. She made it fun and convenient. Her service was prompt and reliable. Overall it was a pleasant experience. Kelly was very professional yet personal when working with her to sell our house. She did a great job communicating with me in a difficult situation. 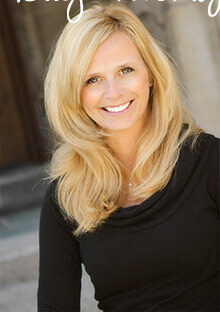 Kelly Twohig is very hard working and dedicated to servicing her customers and the community. Kelly was an excellent agent. Very easy to communicate with and helpful in staging our home. Best agent I dealt with EVER! Kelly is not just a salesperson... she is "real". She isn't phony, she is totally professional and a very nice, sweet person who is more of a friend that anything which makes you want to purchase her product. Kelly took a personal and legitimate interest in the customer as well. I've been in sales for 25 years and I've seen all types of "sales" strategies. The most effective approach is sincerity. I can never sell a product if I don't believe in it. Working with Kelly, I can tell she is that way so if she is representing an individual in selling their home, she won't try to baffle people. She will be selling it with conviction which in turn will be reason enough you want Kelly to represent any seller. She's awesome and an even better person. Kelly did a great job! Kelly was amazing! She was so helpful and went out of her way to make sure there was communication and that we had everything we needed even when she had surgery and was recovering. She still made sure to let us know what was going on. Kelly is great and we would defiantly recommend her to a friend and will use her again in the future. Kelly did a great job with the customers' needs and ours. She made the sale very smooth. Kelly was very helpful in the whole process. Almost were featured on HGTV's House Hunters! Thank you for helping us into our first home! Kelly was very friendly and helpful, creating a great first home buying experience. As we fall approaches, I am reminded about how our house and Fond du Lac first made an impression on us. And you are such an integral part of that! Just two years ago, my husband and I were launching a major change in our lives; changing jobs and schools to move to another state. Fate and the will of God lead us to you. On our first visit to Fond du Lac, you showed us a few houses that we had seen on line, not knowing much about the area. Nothing was quite right until you showed us another house you had in mind. As we stepped out of the car in the driveway, we just new we were home. That set us on a whirlwind of preparation for our family move and were settled within 2 months. The process was amazingly smooth with your constant help and guidance. We are so blessed to have made a new life here and that all started with you. You will always be the face and the heart of Fond du Lac for us! Kelly is an amazing realtor. Our family was moving from out of town and we were not very familiar with the area. We had done endless amounts of looking online before finding Kelly. We met her while doing a walkthrough on a home we gound online. She was so kind, helpful, knowledgeable about the area and accommodating to our needs that we decided we wanted to work with her. Kelly helped us find homes within our initial specifications and set up all of our appointments at times that were convenient to our busy schedules. During the walkthroughs she did a great job of reading our likes and dislikes about the properties before we would even verbalize them. Based off of the queues she picked up on and our feedback Kelly was able to successfully reccommend a few more places that we didn't think to look at or were unaware of, all of which were to our liking. When it came time to put an offer in Kelly was prompt, honest, and guided us through the entire process. The negotiation process was quick and the communication was thorough. We love our new home and with plans to build in 5-10 years we know who we will be calling when the time comes to sell. Kelly was incredibly efficient and professional. My situation was a complex one and Kelly was able to navigate flawlessly! I do appreciate everything she did for me! I would recommend her wholeheartedly!!!! Kelly is energetic and motivated. She is extremely knowledgeable about the city and has a keen sense of what both buyers and sellers are looking for. Kelly has been our agent on both ends of the sale and we would not hesitate to recommend her.